Woody Stanchina named 2018 Young Gun. - Continental Underwriters, Inc.
Woody Stanchina for being named one of 2018’s Young Guns in the Insurance Business America (IBA) magazine. The IBA special report highlights 54 up-and-comers who are well on their way to becoming the new leaders of insurance. This award is a testament that he is a rising star at Continental Underwriters, Inc. and within the insurance industry. We are lucky to have him on board and look forward to watching him climb the ladder and achieve great success! the Continental Underwriters, Inc. team in 2015 as a Risk Assessment Intern. He was still working toward his degree in Risk Management and Insurance at VCU. During this time, he was also serving as Vice President of Gamma Iota Sigma, the International Risk Management, Insurance, and Actuarial Science fraternity. ethic and drive for success fit right in with our culture, and he quickly distinguished himself as the ideal candidate to join the Forest Products/Manufacturing team as a Production Underwriter. Woody continues to drive for success and push us all to be better every day. He is eager to learn and build relationships throughout the industry, and is a great advocate for his customers, always willing to take the time to get the job done right. He is always up for the next challenge! 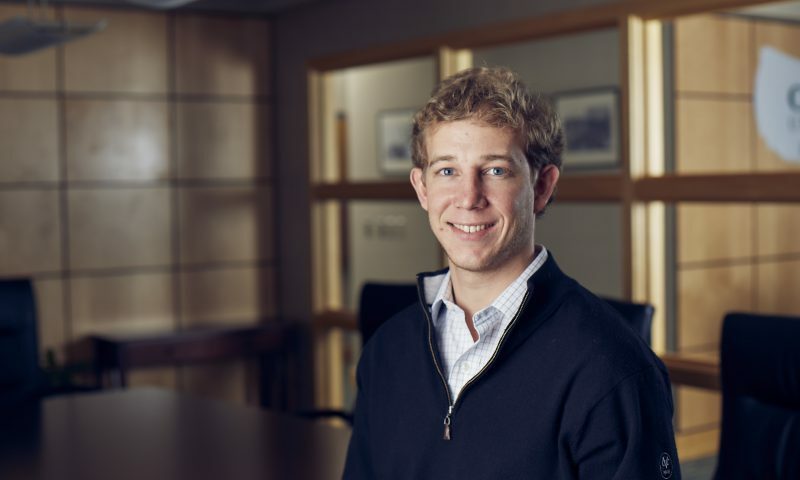 Woody is active as the Co-President of the Gamma lota Sigma Alumni Council of Richmond, helping to connect young professionals in the insurance industry with students and each other. In addition, he is a member of the Chesapeake Regional Committee of the Inland Marine Underwriters Association. Woody loves sports and the outdoors, so he can typically be found in the mountains fly-fishing or skiing, in a duck blind, on the golf course, or watching his beloved Alabama Crimson Tide on the football field. When it comes down to it, the most important thing to Woody is spending time with his friends and family.